Vehicle Monitoring. Fuel Monitoring. Road Fuel Tanker Monitoring. Fuel Tank Monitoring. Fuel Level Sensor. Vehicle Tracker. Truck Tracking. - Vehicle and Road Fuel Tanker Monitoring Equipments. Remote in real time track vehicle trips and parameters of vehicle movement. Monitor vehicle and driver activity, fuel consumption, detect fuel fueling and draining. Collect all information about vehicle, driver activity etc. Monitor fuel level (volume) in fuel tanks, fueling and draining. Collect and store information about fuel level in fuel tanks and additional service information. Generate reports and graphs. Remote in real time monitor fuel in each cargo compartments , track tanker trip and parameters of tanker movements. Monitor fuel level in fuel tanks, fuel loading/unloading and fuel drain. Monitor tanker and driver activity. Collect all information about tanker, driver activity etc. Generate reports and graphs. Fuel control system and Fuel saving system (Fuel consumption Monitor). – provides high-precision measurement of fuel level in tank, and gives detail information about fuel tank fueling and draining. – prevents fraud, draining and unauthorized use of fuel. remotely collection information about vehicle movement, driver activity and fuel consumption. - control real fuel consumption. - Light Trucks, LCV (Light Commercial Vehicle). Provide remote real time control and monitoring stationary fuel tanks. System in full automatic mode in high accuracy collect and store information about fuel level in fuel tanks and additional service information. 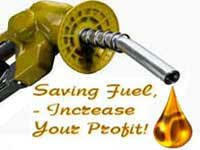 - prevent fuel fraud and fuel drain. Allow in high accuracy in full automatic mode fixing and logging fuel level of fuel in each section (tanks) of a tanker truck that allow to have the realistic and detailed information about fuel volume in tanks, fuel loading and draining. System allow in electronic maps displays location of fuel level changes. System logs road tanker tracks, locations, stops, mileage, speed, idle time, trip time, tanker truck real fuel consumption (fueling and draining), that gives you the best control of your tanker fleet and drivers. - detailed and precision information about fuel level in each fuel section, points of fuel changes. - detailed information about driver activity. - Monitoring truck location, route, speed acceleration/deceleration. – Oil, fuel oil, transformer oil monitoring.